I am delighted to announce that your image has been shortlisted in the top 10 images in the People Category in the Open Competition of the 2013 Sony World Photography Awards. 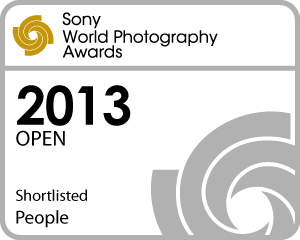 Your work has been selected from 54,851 images entered from 170 countries. This is an incredible achievement. The selected image is this portrait (click the link to see it on flickr), taken in April 2012. Now we have to wait March 19 to know the winners… but I’m already happy and amazed to be among the first ten! And I found my name and my photo on many websites around the world. I have to thank my beautiful model, Elisabetta. She is always nice. The shot below is an unpublished portrait of her. Just to say thank you. Jones sabo conduct your - I did however expertise several technical points using this site, since I experienced to reload the site a lot of times previous to I could get it to load correctly.